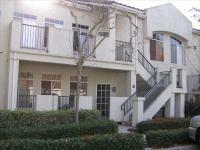 Beautiful luxury condominium in cool HB! This home sits on a ridge and you can look out over the rest of the city as you walk up. Gorgeous updated interior includes a granite galley kitchen, wood floors and wall-to-wall carpeting. Two private patios - you decide if you want to sit in the sun or the shade! Fireplace in the over-sized living room. Upstairs laundry. The big bedroom has a gorgeous walk-in closet. Great privacy from the second bedroom. Updated/remodeled bathrooms. This home is move-in ready and you'll love how much space their is. Beautiful 2 bedroom 2 bath condominium. Move-in condition. 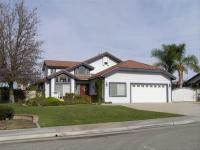 Short Sale lender has approved sale at this price or higher. Lovely Chino 2-bedroom 2-bath available immediately. This End Unit has an attached 2-car garage and inside laundry. There is even a a nice walk-in closet in the Master Bedroom. It is nice-sized at a little over 1100 square feet. There is an upstairs balcony off the living room and a porch downstairs. Quiet tree-lined complex. Two HOA swimming pools. ABC School District & a turnkey Standard Sale! Lovely home on quiet tree-lined streets. 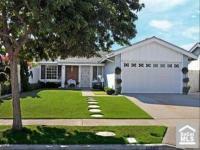 This home is located deep inside a popular west Cerritos neighborhood with wide streets and well-kept homes. Permitted family room addition with fireplace opens to the kitchen and dining room creating a Great Room feel! Home is re-piped with copper plumbing. Newer Central Air Conditioning. Newer dual-paned windows. Granite Kitchen. Inside laundry. Formal Living Room welcomes you home. Dining Room is adjacent kitchen. Kitchen overlooks family room addition and screened porch. The family room makes this home uniquely large to the entire area. Pull up to the front of the house and you'll understand exactly what Curb Appeal means! Beautiful central Orange County townhome in the popular gated complex of Cambridge II in East Orange! Charming courtyard entry leads to a welcoming open floor plan featuring the living room, dining area, open kitchen, guest bathroom and direct garage access. Granite counters in kitchen and bathroom. The second floor is immaculately-designed with three bedrooms, two walk-in closets, two full bathrooms, a loft space illuminated by a sky light-for your computer-and an upstairs laundry area! That's right, the Master Bedroom and the 2nd bedroom both have walk-in closets. Move in ready! You'll enjoy the fantastic facilities at Grijalva Community Park next door where the City of Orange has built a remarkable community athletic facility that you may be able to enjoy on a daily basis! 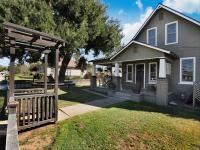 Lovely Old Towne Orange 1912 Craftsman lovingly maintained and upgraded on a huge lot. Separate 2 bed/1 Bath Guest Cottage w/ a 1-car garage is not reflected in the square footage. Large wraparound front porch for enjoying the Old Towne Orange ambience. Master Bedroom is the only downstairs bedroom. Two more bedrooms upstairs and the huge 600+ sq ft Family Room is currently being used as a 4th bedroom. Solar Panels defer part of your electrical bill. Small basement would make a great wine room, panic room or hobby getaway. Over-sized 3-car garage. One bay is currently being used as a workshop. Lovely Executive Home on tree-lined street. Bright open floor plan with beautiful wood floors. Kitchen, family dining and family room are all in a great room configuration. Huge patio looks out on luscious green back yard. Permitted Workshop/Boat House at the back of this huge, nearly 18,000 square foot, lot. Downstairs guest master and inside laundry. Wonderfule master suite upstairs, set privately away from the other bedrooms. Huge upstairs bonus room is currently being used as a 5th bedroom. It could easily be a play room a media room or a gym. Owners raised their family in this home, not it's ready for you. Standard Sale. RV Driveway is approx. 44'x15.5' to the boathouse. Stunning luxury home in popular Sycamore Creek. Updated throughout including granite kitchen, new paint and new flooring. Home was just professionally landscaped. Move-in ready. Well-established auto-body/repair location near Euclid/Orangethorpe. Huge shop has large skylights that provide wonderful natural light for the work area. This shop has one of the only permitted paint booths in the City of Fullerton. Over-sized bay door will allow almost any sized vehicle entry. Dual air compressors; 1 at the front of the shop and one at the back. Front office has a service counter and a large office or retail display area. 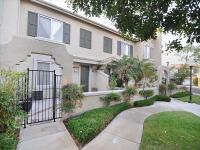 Short Sale: Charming architecture is a common find in Anaheim and this townhome complex will impress you. 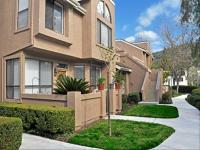 Very spacious 3 bedroom 2.5 bath townhouse style condo with a large private patio that leads to your own garage. Nice wood laminate flooring downstairs and wall-to-wall carpet upstairs. This legitimate short sale is being negotiated by a professional office. Don't hesitate to fall in love with this home. 17 Offers and sold for over asking price! 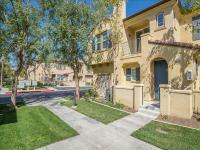 Beautiful remodeled end unit in well-maintained Townhome complex in popular Tustin, very close to Irvine. 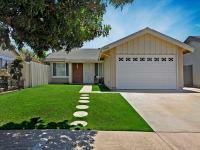 This nicely-upgraded 3 bedroom 2 bath home is available immediately. Beautiful wood floors downstairs and carpeting upstairs. Appliances include a refrigerator, washer and dryer. Kitchen has been beautifully remodeled, with granite counters and a breakfast bar. Click on the photograph to see more pictures of this home. Great storage inside the condo, plus the 2-car garage on the backside. A back yard separates the townhome from your private garage entry. Living Room and Master Bedroom look out on an expansive green belt. HOA, including security patrol, is included! ABC School District AND a Standard Sale! Lovely home on quiet tree-lined streets. 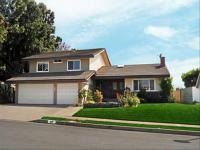 This home is located deep inside a popular west Cerritos neighborhood with wide streets and well-kept homes. Family room addition is permitted, but square footage was not updated, so this square footage is estimated. Home was recently re-piped with copper plumbing. New dual-paned windows. Inside laundry. Formal Living Room greets your guests. Dining Room is adjacent kitchen. Kitchen overlooks family room addition and screened porch. The family room makes this home uniquely large to the entire area. Pull up to the front of the house and understand exactly what Curb Appeal means! Inviting residential gem nestled up against the green belt in a safe & quiet neighborhood in highly sought-after 92807 that feeds to El Rancho Middle School and Canyon High School! Open living area boasts a living room and a den that many homeowner's have converted to a 3rd bedroom. Pride of ownership is evident in the maintenance of this lovely interior condo. Slider leads to a huge patio with a gate that opens to the greenbelt. Please see Agent remarks regarding the slider. Wonderful access to the 91, 55 and even the 57! There is an Associaton Pool and an inviting greenbelt. This neighborhood is warm, friendly and inviting. Drive by and see what I mean! You'll see the warm courtyard entry with the upgraded vinyl windows inviting you to call this home! Inviting residential gem nestled up against the green belt in a safe & quiet neighborhood in highly sought-after Seagate in Laguna Niguel. Expansive living area boasts soaring vaulted ceilings, slider access to yard & elegant slate-trimmed fireplace. Beautiful chefs' kitchen features wrap around countertops, plantation shutters & attached eating area. Large master suite with vaulted ceilings & private bath. Spectacular yard space showcases gorgeous landscaping, above ground pool,plenty of grassy area & good-sized patio. 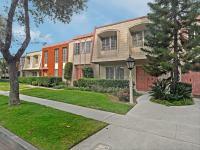 Short walk to local school and easy access to Association park, shopping, entertainment & more! Pride of ownership is evident in the upgrades throughout this home. 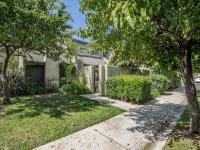 FHA approved townhome in the hills of Orange. This is a fabulous 3 bedroom 2 1/2 bathroom end unit that has been lovingly maintained throughout. 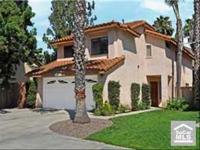 Fabulous home features a bright open remodeled kitchen with a convienent inside laundry room. Enjoy the great floor plan or relax on the quiet patio. Living room features a big front window and an inviting warm fireplace. BIg Mastere Bedroom overlooks the wonderfully landscaped greenbelt. This unit also includes a one car spacious garage with plenty of storage space. Don't forget the two association pools and spa perfect for entertaining! Gorgeous remodeled pool home. Fantastic views. Master deck is amazing! Remodeled granite kitchen opens to family room & overlooks pool from the sink. Fam Rm has marble fireplace & dual sliding doors to backyard. 4 bedrooms upstairs, incl. huge master. 4th bedroom is a media room. Upstairs laundry chute leads to BIG laundry room. Private downstairs guest master. Freshly updated home includes scraped/textured ceilings, recessed lighting, rounded corners & Travertine floors. Upstairs & all bedrooms are carpeted. Dual-pane windows & doors. Tankless Water heater! Solar pool heater keeps pool comfy. (This home is very green.) Formal living rm w/ warm fireplace is great holiday-gathering area as it is adjacent the formal dining rm that leads to the BBQing porch. 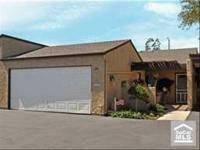 Garage is fantastic retreat as it is finished with epoxy floor, fresh paint, insulated doors, great storage & wired for TV. It's also a gym! Dual garage door openers. The nicest home & neighborhood I've ever lived in! Great schools!! We have Short Sale approval, so don't be afraid to look at this incredible, fully-upgraded Executive Home in popular east Yorba Linda neighborhood. Sprawling views of the canyon. Beautiful travertine floors w/ granite accents that match the kitchen, bathrooms and fireplaces. Inviting open floor plan with a Gourmet Kitchen opens to a sunny family room. Upstairs master suite has breathtaking views. Downstairs master bedroom gives you many options. Oversized 5th bedroom could be bonus room or game room. This home boasts a significantly over-sized driveway and huge RV parking (Approx. 18.5 feet x 44 feet). Our Professional office is negotiating this very legitimate short sale. Absolutely gorgeous remodeled pool home. Salt water pool has new salt cell. Imagine opening your master bedroom slider and stepping into the in-ground spa while you look at the big waterfall and the fun waterslide! Alternately, you could be cooking at the built-in BBQ and watching everyone enjoying your tropical pool. It might be hard to leave the BBQ area with the cook top and refrigerator all under a big umbrella, you are set! HUGE Family Room addition with custom travertine fireplace. The entire area is also wired for sound, including the outside, the family room, the living room and the master bedroom. Crown molding throughout the home. Big bedrooms, customary to this architecture. Reverse Osmosis drinking water system. Vinyl patio cover, vinyl pool safety fence and safety gate. Vinyl dual-pane windows throughout. Water softener. Cul-de-sac location. 6'x12' Tall Ranch model Tuff Shed remains. Neighborhood feeds to El Rancho Middle School and Canyon High School. Lovely Canyon Crest home. Four bedrooms plus a fully-permitted office! Breathtaking mountain views, especially when they are capped with snow. 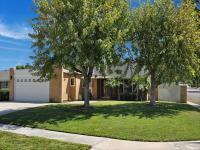 Huge remodeled kitchen with granite counters that opens to a spacious family room and a warm fireplace. There is a bedroom, bathroom and the office downstairs. Three more bedrooms, including the Master upstairs. Windows across the back of the house show you two wonderful views; the mountains and your Entertainer's Pool and Spa...Breathtaking! Formal Living Room and Formal Dining Room combination. Don't doubt it; you have to see it. The huge bonus room used to be the 3rd car garage. You will be impressed by it's size. It could be an office, a den, a game room, music studio, dance studio...use your imagination! Gated RV parking and the pool don't begin to fill this huge lot. There is plenty of room for a big lawn or whatever else you want to do with all that space. Get a great value on this Short Sale. Wonderful central Orange County townhome in the popular gated complex of Cambridge II in East Orange! Beautiful courtyard entry leads to a welcoming open floor plan featuring the living room, dining area, open kitchen, guest bathroom and direct garage access. The second floor is immaculately-designed with three bedrooms, two walk-in closets, two full bathrooms, a loft space illuminated by a sky light, for your computer and an upstairs laundry area! That's right, the Master Bedroom and the 2nd bedroom both have walk-in closets! New Garage Door. New garbage disposal. Move in ready! You'll enjoy the fantastic facilities at Grijalva Community Park next door where the City of Orange has built a remarkable community athletic facility that you may be able to enjoy on a daily basis! This property can be purchased for as little as $13,125 down. Call me at 714-685-1565 for special FHA financing and the current terms related to putting only 3.5% down to call this your new home! Impeccably-maintained 2 bedroom 2 bath condo looks almost like the day the builder opened the model. Two big Master Suites on opposite sides of the living area. Living room is light and bright with a wonderful fireplace. The kitchen opens to the living room and the dining area. Both masters have big closets and Mirrored Closet Doors, one of them has a walk-in closet. Spacious patio with room for many uses. Complete with full-sized Laundry Room. 1-car Garage +1 assigned Space. Standard equity sale.